Many other rail transit systems rely on special sales taxes to pay what passenger fares don’t cover. Honolulu’s City Council leaders are struggling with how to cover millions of dollars in new rail construction costs so they can appease the Federal Transit Administration. They’ve proposed squeezing that money into next year’s city operations budget, which is already stretched thin. But that challenge raises a bigger question — one that locals have asked for years. How does the city intend to pay for rail once the trains start running? The city’s leaders still don’t know the answer. Workers test a driverless Honolulu four-car train above Farrington Highway near Waipahu Sugar Mill in May 2017. Passenger fares will only cover a fraction of the cost, so the city will have to make up an annual shortfall of about $100 million once the full 20-mile, 21-station system opens. Other transit systems around the country often rely on dedicated tax sources, such as a sales tax for transit, to cover those costs. Honolulu doesn’t have that. Kobayashi and other longtime critics of the island’s elevated transit project say Honolulu Mayor Kirk Caldwell’s administration has avoided the issue. The current dilemma over how the city might pay for as much as $44 million in costs to oversee rail construction, Kobayashi says, foreshadows worse problems ahead if the Caldwell administration doesn’t start planning how to pay for the system’s operations. Caldwell, however, says he’s laid the groundwork and he’s optimistic the city will have a plan by the time the system is running. The full line is now scheduled to start moving passengers in 2026, about six years after his term in office ends. “I have faith that just like we did with TheBus we’ll be able to do it with rail. We are getting ready for that,” Caldwell said in an interview with Civil Beat last week. 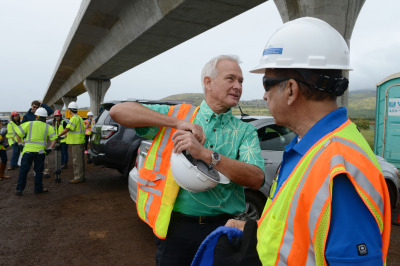 Mayor Kirk Caldwell suits up with safety gear before a Dec. 3, 2014, rail press conference in the fields east of Kapolei. He pointed to recent increases in public parking fees, bus fares and the vehicle weight tax, as well as higher property tax rates on expensive homes whose owners don’t live there, as early steps his administration has taken toward that goal. They should at least help cover the estimated $100 million subsidy, Caldwell said. Overall, rail’s operations and maintenance are expected to cost from $126 million to $144 million in 2026, the local agency overseeing the project estimates. However, the fee increases that Caldwell mentioned were largely aimed at covering the growing cost of city salaries, pensions and other employee benefits. They likely wouldn’t cover the city’s share of the cost for rail. The mayor acknowledged the city will eventually have to find more money elsewhere. That could be tricky in a state that already has one of the highest tax burdens in the country. 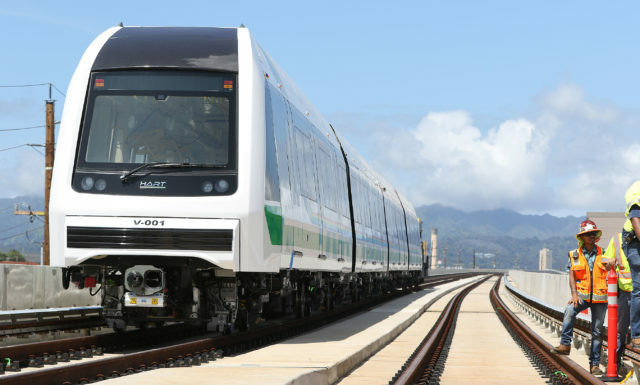 Many mainland rail transit systems offer a glimpse of how Honolulu might eventually handle its own operations costs. Arizona’s 26-mile Valley Metro light rail, for example, relies heavily on Phoenix’s “T-2050” – a 0.7 percent sales tax passed several years ago that’s set to expire in 2050. A Valley Metro light rail car passes through Phoenix. 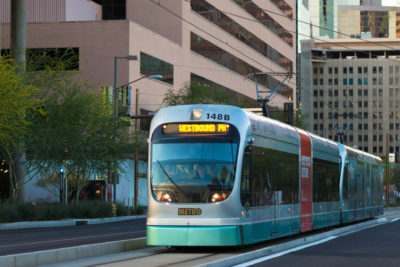 That funding, along with dedicated taxes from two other cities on the route, Tempe and Mesa, cover about half of the light rail system’s $41 million annual operations budget, according to an agency spokeswoman. Passenger fares in Arizona covered just over 30 percent of that system’s operations in 2017. That’s down from 41 percent in 2015. Meanwhile, the Bay Area’s longtime rail line, Bay Area Rapid Transit, or BART, relies on passenger fares to cover more than half of its $906 million annual operating budget. But those fares, similar to Valley Metro, are gradually covering less of BART’s overall operational costs. The Bay Area system expects to see a 5 percent drop in those revenues in 2019. 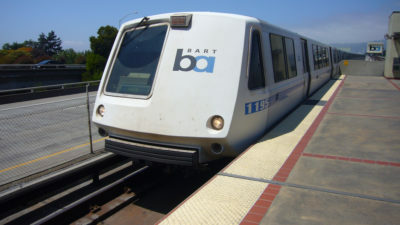 A Bay Area Rapid Transit (BART) passenger train enters a station. A dedicated sales tax in three counties that use BART covers nearly 30 percent of the system’s total operations. The state’s legislature passed that tax back in 1973 and it’s slated to run in perpetuity, according to an agency spokesman. Property tax revenues cover another 5 percent. In Seattle, the Link light rail system relies largely on so-called “ST-3” funding to cover its $467 million operations budget. Voters approved the massive, $54 billion ballot measure in 2016 to fund and expand local transit there. The ST-3 package looks to include some $27 billion in sales, motor vehicle and property tax collections through 2041. The rest comes through other sources such as federal grants and bonds. A median household was slated to pay an additional $329 in taxes in 2017 under ST-3, according to The Seattle Times, and that cash would help fund 12 local transit projects, not just Link. 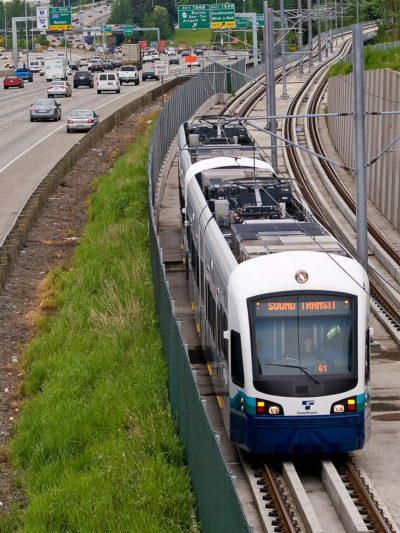 A Link light rail passenger car runs alongside Interstate 5 in the Seattle area. Caldwell in recent years has pushed for the Legislature to extend in perpetuity Oahu’s 0.5 percent general excise tax surcharge as a way to fund rail’s operations and route extensions. But state lawmakers have so far dismissed the idea out of hand. The GET surcharge still funds rail construction, and legislators are wary of giving Caldwell and the city what they’ve called a “blank check” to finish the financially troubled project. Rail has already seen its estimated price tag climb by nearly $4 billion since December 2014. On Wednesday, City Council members advanced a bill that would establish a new rail operations fund. Kobayashi, who introduced the measure, said she sees it as a place to at least start putting away money for those future operations — even if those dollars don’t amount to much. Nelson Koyanagi, the city’s Budget and Fiscal Services director, told council members that such a fund would only complicate his department’s accounting. The city has started boosting funding to its Department of Transportation Services, which will eventually oversee rail operations, he said. 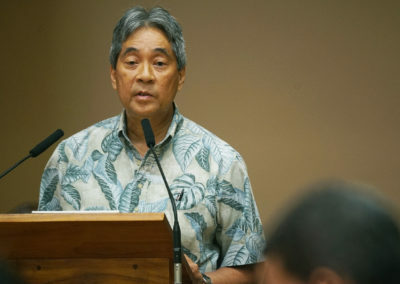 Department of Budget and Fiscal Services Director Nelson Koyanagi testifies at a Honolulu City Council meeting. Koyanagi further implored them not to add Honolulu Authority for Rapid Transportation costs to the fund. Caldwell’s office has argued those costs aren’t technically rail operations because HART’s only role is to build the system, not to run it. The city still hopes it can avoid paying much of those HART costs, even though state leaders required it in their 2017 rail bailout package, Koyanagi said. 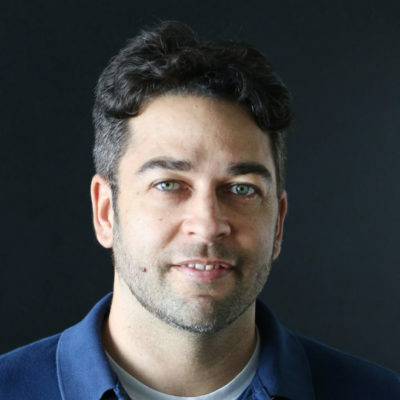 Trevor Ozawa, the council’s budget chairman, said that city officials still have to do more research to “come up with all options” on how to handle its new share of rail costs. He didn’t specify what those options might be.